The mission of Lansing Knights in-house and travel soccer is to educate, encourage, and promote the game of soccer, while fostering a love for the sport known as the beautiful game that will be carried throughout life. Lansing Knights has provided our youth, parents, and coaches with many unique experiences over the past few years to meet our mission statement to educate, encourage, and promote the game of soccer. We have hosted state licensure courses, run trips of 90 plus to watch professional soccer matches, had showings of European and domestic matches at the club, been hosted for private training by the Philadelphia Union at PPL park, and have taken players to countless local HS and college games. 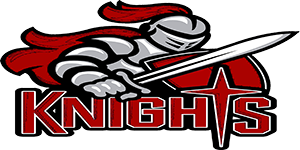 Lansing Knights travel soccer teams participate in various leagues throughout Southeastern Pennsylvania. We compete in: ICSL-Inter County Soccer League, PAGS- Philadelphia Area Girls League, UJSL- United Junior Soccer League Fall/Spring, Rock Spring, and the Philadelphia Parks and Recreation League formerly known as the Philadelphia Department of Rec. Many of our teams compete year round playing fall, winter-indoor, and spring seasons along with playing high level tournament schedules. All our coaches are encouraged to obtain state licensure for coaching. We have several nationally certified coaches and some coaches with HS and college coaching experience, while many of our coaches have also played at the HS and college levels. Lansing Knights offers girls/boys travel soccer from 7-17 years of age. We have home fields at Lansing Knights, Fluehr Park-Eden Hall, and the River Fields off State Rd.